Beryl is a mineral species that comes in a variety of colors including pink, red, green, yellow, blue, brown, and black. A majority of these alternative gem-quality beryls come from pegmatites, which means that the crystals, as well as the gemstones cut from them, are often sizable and relatively free of inclusions . Although this makes them ideal for jewelry, with the exception of aquamarine, the lesser-known beryl varieties are mainly collectors’ stones. It is fair to say that the general public has yet to discover their mystery, beauty, and value. A large star emerald cabochon with weaker asterism. Photo credit: gia.edu. Occasionally, beryl varieties will exhibit unique optical phenomena such as chatoyancy and asterism . Both of these phenomena are caused by elongated inclusions within the stone. Chatoyant cat’s-eye beryl comes in a variety of body colors, but the finest are found in the heliodors from Madagascar or the aquamarines from Brazil. Star beryl is extremely rare, but when found, it is typically yellowish brown to black with a weak six-rayed star. A lovely Art Deco style aquamarine pendant. 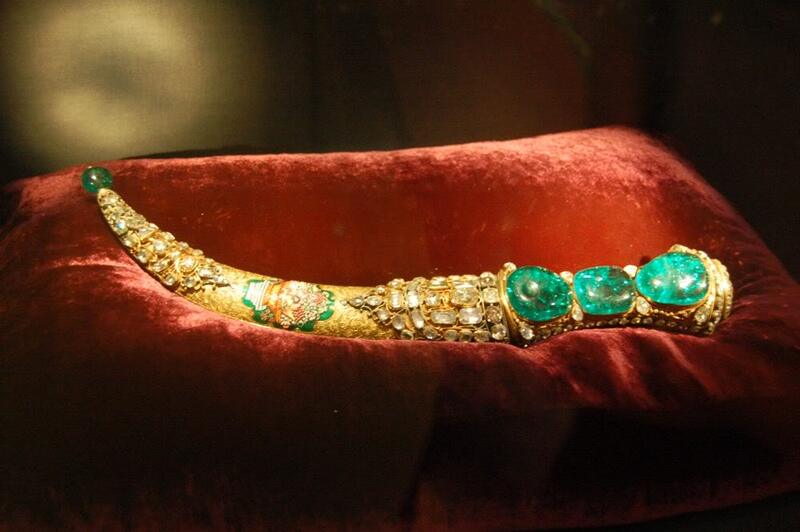 After emerald, this sea-green stone is best known of all beryls. Its name comes from the Latin aqua (water) and marina (of the sea). 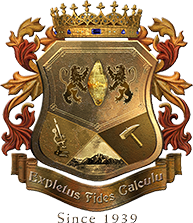 It owes its color to traces of iron. At its best, it is a moderately strong medium-dark blue to slightly greenish blue. There are no agreed upon criteria for distinguishing lighter-colored emeralds from aquamarine in the trade. However, it is agreed that aquamarine exhibits lighter tones and saturation than emerald. Many aquamarines are eye-clean. Because of the relative clarity of the crystals–notably their lack of fluid-filled inclusions –aquamarine can be safely heat-treated. 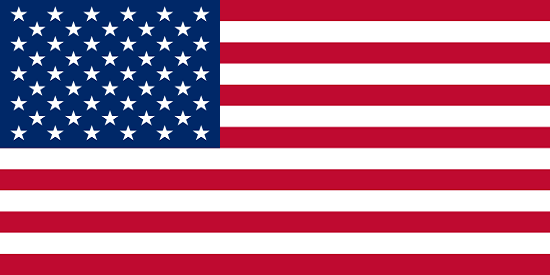 This is commonly done to produce a more marketable blue color. In the United States, aquamarine competes with blue topaz in the market, but it is very popular in Europe and Japan. An aquamarine carving of the god Poseidon wrestling an octopus. Due to their light tone and saturation, large aquamarines tend to have the best color. Fortunately, supply is not a problem. 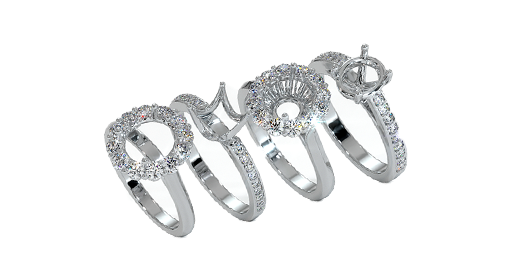 Ten-carat stones are common, and faceted stones of 1,000 carats are also known. Crystals up to a hundred pounds are also employed as a popular medium for small sculptures and carvings. Aquamarine is found in a number of countries around the world, including Brazil, Pakistan, Australia, Namibia, Russia, Sri Lanka, Kenya, Madagascar, Mozambique, Zambia, Zimbabwe, and the United States. 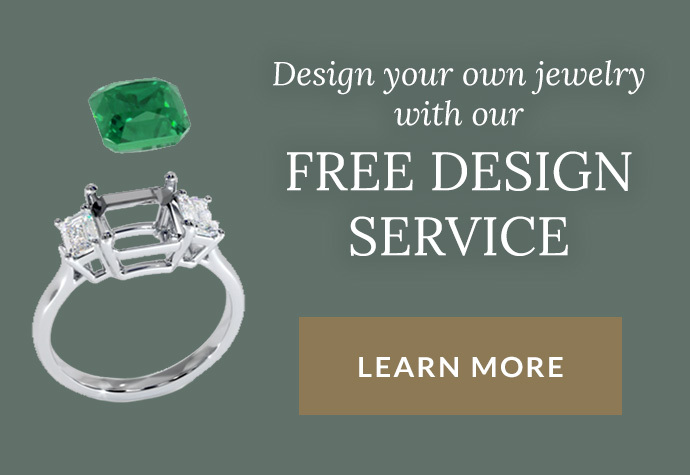 There is no agreed upon criteria for distinguishing emerald and green beryl in the trade. Green beryl can vary from very strongly bluish green to yellowish green in hue. 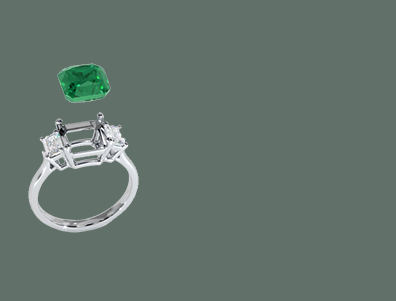 It is generally distinguished from emerald by its lighter tone and saturation. This is caused by the relative abundances of the same trace elements that color emerald: chromium, vanadium, and iron. 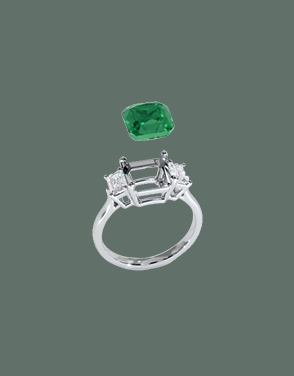 In general, green beryl will have more iron and less chromium or vanadium than emerald. The presence of chromium also prevents the color from drifting towards shades that resemble aquamarine. Faceted green beryl and a green beryl cabochon. 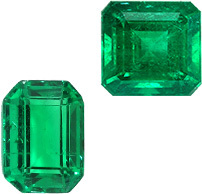 For many years, the emeralds produced in the Salininha mine of Brazil were marketed as green beryl because they were colored by vanadium, not chromium. 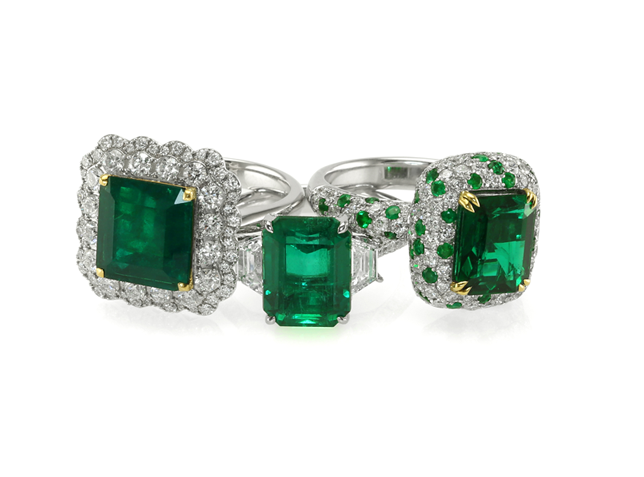 Extensive scientific analysis of emeralds from all over the world led many independent researchers to conclude that the color of emerald can be influenced by either chromium or vanadium (and accompanying iron traces). A Brazilian emerald beryl quartz crystal. 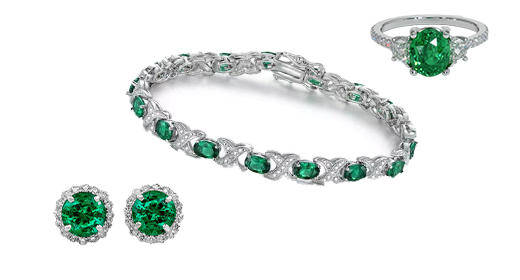 In 1963, the highly respected Gem Trade Laboratory at the Gemological Institute of America determined that the Brazilian stones were true emeralds. This allowed Brazil and other source countries to honestly market their stones as “emerald” rather than green beryl. Today, green beryl is produced in Brazil, Zimbabwe, and Australia. Beryl that is pink, rose, salmon, or peach-colored is called morganite in the trade. These stones typically have low to moderate tones and saturations. The gem was discovered in Madagascar in the early 20th century and stones from that island country remain the standard for quality. The variety is named for J.P. Morgan, the American financier and gem collector. A lovely pink and rose hued morganite crystal. The color of morganite, which varies from light reddish orange to light purplish red, is determined by traces of manganese. Pink and rose hues, which are the most marketable, can be obtained by gently heating salmon and peach material to eliminate unwanted yellow and orange secondary colors. A wide range of sizes is readily available in the market, but due to their light tones and low saturation levels, larger stones typically have the best color. In recent years, morganite has become quite a popular stone for engagement rings, as it is a very affordable substitute for a diamond or sapphire. Morganite comes from pegmatites in Madagascar, Brazil, California, Afghanistan, Mozambique, and Namibia. In 1917, lovely medium to dark blue beryls were found in the Maxixe mine in Brazil. The gem industry was intoxicated by the new stone, until its exotic color was found to fade over time. Later, experts determined that the color of the Maxixe stones was due to unstable color centers caused by natural radiation. A maxixe beryl crystal with stunning even color. Color centers are minute defects in the internal structure of a crystal. These internal defects are unstable and can usually be altered by the application of either light or heat, which causes their color effects to disappear. The bleaching or fading of Maxixe beryl occurs at an unpredictable rate. Irradiation will restore the blue color, but it will not be permanent. When colorless beryl (goshenite), morganite, and aquamarine are irradiated, they acquire the dark blues of Maxixe beryl. However, these stones too will fade with exposure to light or heat. Yellow or golden beryl is often called heliodor, from the Greek helios (sun) and doron (gift). The color, which is caused by traces of iron, ranges from greenish yellow to orangey yellow with light to medium tones and saturations. Larger stones display the best color. Examples of yellow and golden hued heliodor crystal rough. Although it is less common than aquamarine, heliodor does not command the same price. Eye-clean stones may be heated to produce more marketable aquamarine color or irradiated to improve the golden or yellow hues. Occasionally, colorless beryl is also irradiated to produce a yellow beryl. Heliodor sources include Brazil, Namibia, Madagascar and Sri Lanka. Red beryl is a very rare variety of beryl with darker tones and more saturated colors than its cousin morganite. This raspberry red stone is occasionally mislabeled “red emerald” or referred to as Bixbite—after Maynard Bixby, the man who discovered it in 1897. Neither of these names has gained currency in the trade however. A faceted red beryl alongside crystal rough red beryl. Like morganite, the color of red beryl is determined by trace amounts of manganese. However, in red beryl, larger quantities of this color-causing agent produce a highly saturated pure red color–although cut gemstones vary from purplish red to orangy red due to pleochroism . Red beryl is exceptionally rare and is considered a collector’s gemstone. Like emerald, red beryls can be heavily included. 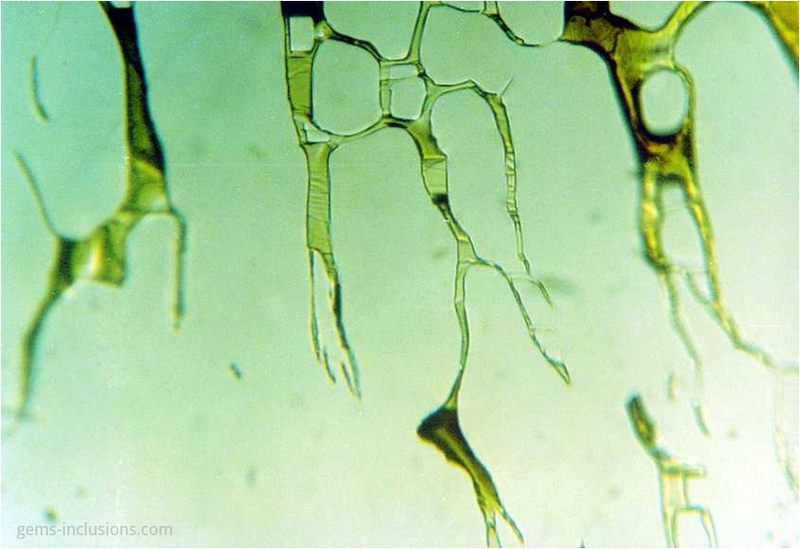 Their clarity is affected primarily by fractures, but they are also known to have two-phase inclusions, solid crystals, fingerprints, and color zoning. For this reason, red beryls are typically treated with colorless oils or resins to improve their apparent clarity. Red beryl is the rarest of the beryls and it is expensive even though it is known only to collectors. To date, it has been found in a single location, the Wah Wah Mountains of Utah, where both the yields and the average size of the stones are small. Now that we’ve covered the extensive characteristics and properties of emerald and its beryl cousins, we will now move into the regions of the world where emeralds are found with Early Mining History & Techniques.